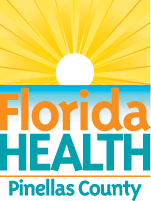 Florida Department of Health in Pinellas County web sites are owned and operated by Florida Department of Health in Pinellas County. No material from PinellasHealth.com and PinellasCHAT.com or any Web site owned, operated, licensed or controlled by the Florida Department of Health in Pinellas County may be copied, reproduced, republished, uploaded, posted, transmitted, or distributed in any way. Materials may be downloaded on any single computer personal, non-commercial use only providing all copyright and other proprietary notices are kept intact. Modification of the materials or use of the materials for any other purpose is a violation of the Florida Department of Health in Pinellas County copyright and other proprietary rights. For purposes of this Agreement, the use of any such material on any other Web site or networked computer environment is prohibited. All trademarks, service marks, and trade names are proprietary to the Florida Department of Health in Pinellas County. In the event that you do download software from MyFlorida.com, the software, including any files, images incorporated in or generated by the software, and data accompanying the software (collectively, the "Software") are licensed to you by the Florida Department of Health in Pinellas County does not transfer the title to the Software to you. You do however, own the medium on which the Software is recorded, butthe Florida Department of Health in Pinellas County retains the full and complete title to the Software, and all intellectual property rights therein. You may not redistribute, sell, decompile, reverse engineer, disassemble, or otherwise reduce the Software to a human-perceivable form. Unless otherwise specified, the materials in MyFlorida.com are presented solely for the purpose of promoting programs, applications, and other products available in the United States, its territories, possessions, and protectorates. This site is controlled and operated bythe Florida Department of Health in Pinellas County from its offices withinthe Florida Department of Health in Pinellas County makes no representation that materials presented in MyFlorida.com are appropriate or available for use in other locations. Those who choose to access this site from other locations do so on their own initiative and are responsible for compliance with local laws, if and to the extent local laws are applicable. Software from this site is further subject to United States export controls. No software from this site may be downloaded or otherwise exported or re-exported (1) into (or to a national or resident of) Cuba, Iraq, Libya, North Korea, Iran, Syria, or any other country to which the U.S. has embargoed goods; or (2) to anyone on the U.S. Treasury Department's list of Specially Designated Nationals or the U.S. Commerce Department's Table of Deny Orders. By downloading or using the Software, you represent and warrant that you are not located in, under the control of, or a national or resident of any such country or on any such list. This agreement is effective until terminated by either party. This agreement may be terminated at any time by destroying all materials obtained from any and all the Florida Department of Health in Pinellas County site(s) and all related documentation, copies and installations thereof, whether made under the terms of this agreement or otherwise. This agreement will terminate immediately without notice fromthe Florida Department of Health in Pinellas County if in sole discretion you fail to comply with any term or provision of this agreement. Upon termination, you must destroy all materials obtained from this site and any and all otherthe Florida Department of Health in Pinellas County site(s) and all copies thereof, whether made under the terms of this agreement or otherwise. The materials presented in MyFlorida.com are provided "as is" and without warranties of any kind either express or implied. To the fullest extent permissible pursuant to applicable law,the Florida Department of Health in Pinellas County disclaims all warranties, express or implied, including, but not limited to, implied warranties of merchantability and fitness for a particular purpose.the Florida Department of Health in Pinellas County does not warrant that the functions contained in the materials will be uninterrupted or error-free, that defects will be corrected, or that MyFlorida.com or the server that makes it available are free of viruses or other harmful components.the Florida Department of Health in Pinellas County does not warrant or make any representations regarding the use or the results or the use of the materials MyFlorida.com in terms or their correctness, accuracy, reliability, or otherwise. You (and notthe Florida Department of Health in Pinellas County) assume the entire cost of all necessary servicing, repair, or correction. Applicable law may not allow the exclusion of implied warranties, so the above exclusion may not apply to you. Under no circumstances, including, but not limited to, negligence, shall the Florida Department of Health in Pinellas County be liable for any special or consequential damages that result from the use of, or the inability to use, the materials presented on MyFlorida.com. Even if the Florida Department of Health in Pinellas County authorized representative has been advised of the possibility of such damages. Applicable law may not allow the limitation or exclusion of liability or incidental or consequential damages, so the above limitation or exclusion may not apply to you. In no event shall the Florida Department of Health in Pinellas County's total liability to you for all damages, losses, and causes of action (whether in contract, tort (including, but not limited to, negligence), or otherwise) exceed the amount paid by you, if any, for accessing this site. This agreement shall be governed by and construed in accordance with the laws of THE STATE OF FLORIDA, without giving effect to any principles of conflicts of law. If any provision of this agreement shall be unlawful, void, or for any reason unenforceable, then that provision shall be deemed severable from this agreement and shall not affect the validity and enforceability of any remaining provisions. This is the entire agreement between the parties relating to the subject matter herein and shall not be modified except in writing, signed by both parties.